Are you ready for a game changing safety device? Are you ready for a game-changing Device? More than 300,000 US healthcare workers sustain sharps injuries every year in the United States, and over 42% of these occur in the Operating Room. A large proportion of OR sharps injuries occur through suturing and the passing of sharps. A Hands-Free technique is mandated by OSHA law for the passing of scalpels and syringes, but the consistent use of a neutral zone remains limited and the use of kidney dishes and flat trays offer sub-optimal protection in safely retrieving instruments. 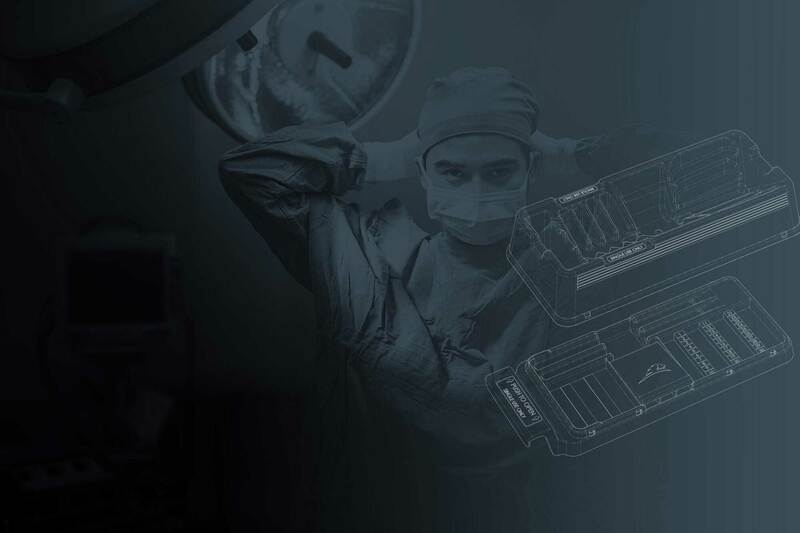 Designed in conjunction with perioperative staff, the Bladesafe Multi provides a solution to the safety risks associated with the transfer, storage and disposal of sharps within a surgical setting. The Bladesafe passing tray facilitates intuitive retrieval, depositing and passing of devices by surgeons and scrub staff mid-procedure, and the Bladesafe counting tray provides a convenient single location for the management of all procedural sharps including K-Wires, hypodermic needles, suture counting, scalpel storage and blade removal. Watch how the Bladesafe passing and counting tray are used in the Operating Room to create a safer environment for staff and patients. Effortless and safe grasping of scalpel handles protecting staff from cutting their fingers. 4 suture slots accommodate storage of multiple types of suture needles (with different handle lengths) with the needle point fully recessed. Easy to hold, particularly for a gloved and often slippery hand. Option of holding Bladesafe from underneath means the hand holding the device is completely shielded. Two Magnetic strips safely store additional blades. Large easy-to-grip handle enables safe and easy maneuverability. Scalpel blade removing pockets enable blades to be safely removed from reusable handles. A double-sided adhesive strip on the underside of the tray allows the unit to be firmly affixed to surfaces, providing a neutral zone for the placement and retrieval of sharps during procedure. 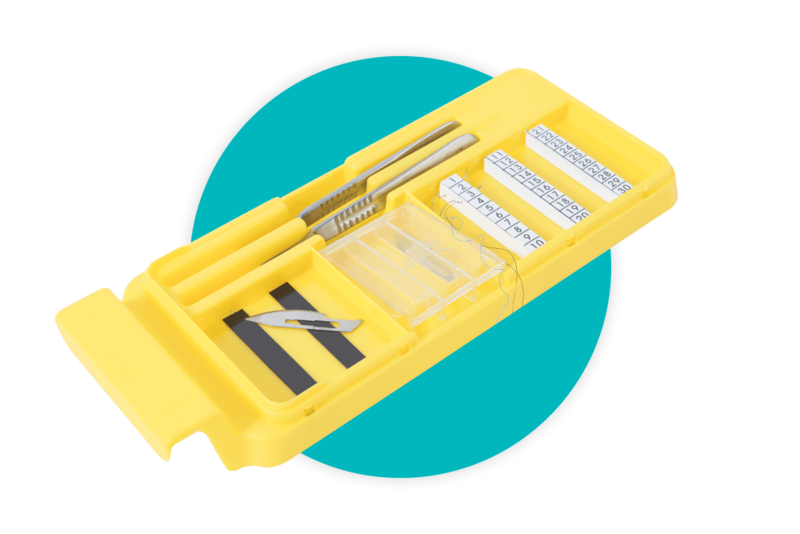 Once the procedure is complete, the Bladesafe Passing Tray clips snugly on top of the Counting Tray, providing safe containnment and consolidated disposal of used sutures, blades and hyperdermic needles. Don’t put yourself or staff at risk any longer, use Bladesafe for safer sharps transfer.